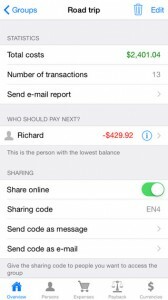 What does the Cost Split app do? 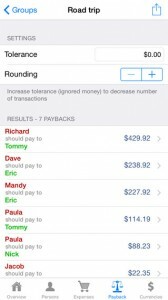 Cost Split is an expenses app that is equally useful amongst housemates and groups of friends on a night out as it is on group travels overseas. 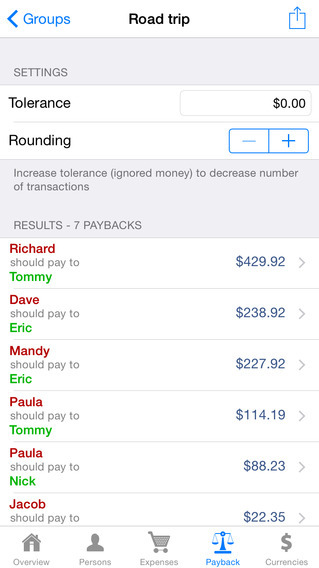 It lets you share costs within a group of people, with each person able to log what they have spent from their own devices. At the end of the night, the day, or week away, a report is generated that states who paid what, and who should pay who back, and by how much. Clever! What makes Cost Split so good for travelling? You can choose the correct currency for the country you are in, so work in “real money”, and it has offline support, so lack of connection (for reasons of remoteness or data charges) won’t affect the tally. The Cost Split reviews are good… The average rating in Sweden is 5 stars, and the app has been in the top 10 finance apps in 17 countries – but we can’t help but think there is a small obstacle with what is essentially a group app. It is only available on iPhone and iPad. This means its success, and usefulness, relies on everyone in the group having an Apple device. 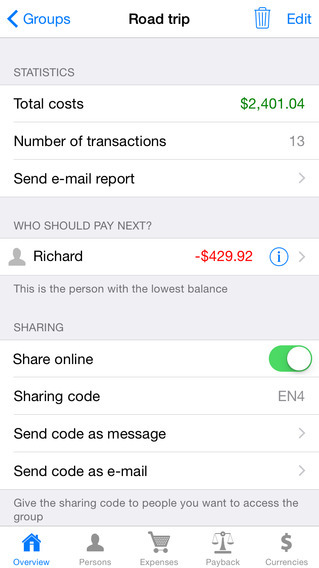 Find out more about the Cost Split App or download for free from iTunes store. This entry was posted in travel apps on February 27, 2015 by worldwideinsure.